Found a nice little pond a few kilometers out of town with a broad variety of water birds. Among them this beautiful Shelduck (Tadorna tadorna), which is not very common around here. 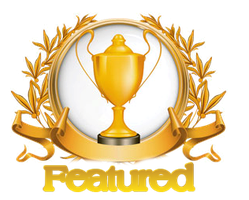 Your wonderful art has been placed in our Featured folder: "Best of the Best ". Congratulations! This Honor is posted on the first Friday of each month. Changes have been made. But for the better. Congratulations your work has been awarded the honor of the "Featured: Best of the Best" at NaturesHaven. Please enjoy each feature which showcases , on the first Friday of each month. . Marvelous capture! Wonderful color and detail! Another beautiful duck! Very good, clear, crisp photo. Amazing. Never seen one of those before. Great colors. I love your photos. Thanks very much. Shelducks are native to Europe and Central Asia, as far as I remember. They are sometimes mistaken for Geese due to their large size, but unfortunately I don't see them very often any longer. Thanks very much for your compliment and the watch. I read that until the 19th century (I think) that particular duck was called a Sheldrake. I am only just learning about waterfowl, having only recently moved to live on a small 5 acre lake. We've only been here 4 months and I haven't seen all the types of waterfowl that migrate through here and spend some time before moving on. Right now there's not a lot of variety to photograph. As for here, the situation has become really bad. I use to have three favourite places near by to shoot birds, but all that's left now are a few Mallards and the ubiquitous Jackdaws and Gulls. I think extensive farming and the use of chemicals have killed the most of them - including the fish in the waters. Sorry to sound negative, but I find it sad when the zoo is the only place left to find birds that used to be common almost everywhere. Yes. So true about the scarcity of wildlife in some places. I am looking forward to fall but we've had a moderate summer here, (temperature wise) and some much needed rain. We have no amphibians here which I find suspect. I've not heard a single frog of any type. We do have an abundance of fish and turtles and some very large ones too.